In a surprise attack, the Germans invaded Norway on April 9, 1940, and quickly secured the capital of Oslo as well as other major cities along the east and west coasts of the country. 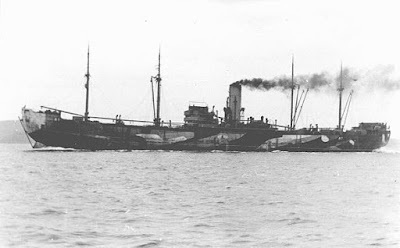 The underequipped and underprepared Norwegian military fought the Germans in the interior and in the far north but even with the assistance of British troops and ships was unable to withstand the German onslaught. After running from the enemy for two months, the Government, King and Crown Prince of Norway fled to Britain, and the Germans took complete control of the country. The Nazis appointed Josef Terboven as the Reich Commissioner, and all of Norway came under his control. Approximately 1700 Jews lived in Norway at the time of the invasion, and about 200 of them had fled from the Nazis in Central Europe. Although Terboven placed restrictions on the Jews and their property, it wasn’t until one year later, in the spring of 1941, that arrests and imprisonment were stepped up, and most of these took place outside of Oslo where the Jews were small in number. In early 1942, Terboven required all Jews to have a “J” stamped on their identity cards and the word “Jew” on their identity papers. 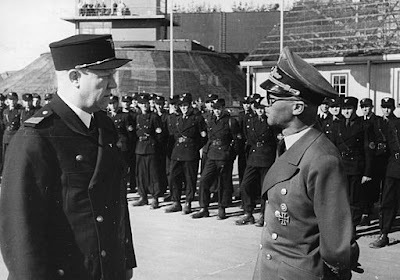 Also in 1942, Vidkun Quisling, a Norwegian collaborator, was named prime minister, and he and Terboven executed the main persecution of the Jews. In the fall, the Norwegian police arrested the 763 Jews they could locate, including women and children, and transported them by ship to Germany. They were immediately sent to Auschwitz where most of them perished in the gas chambers. 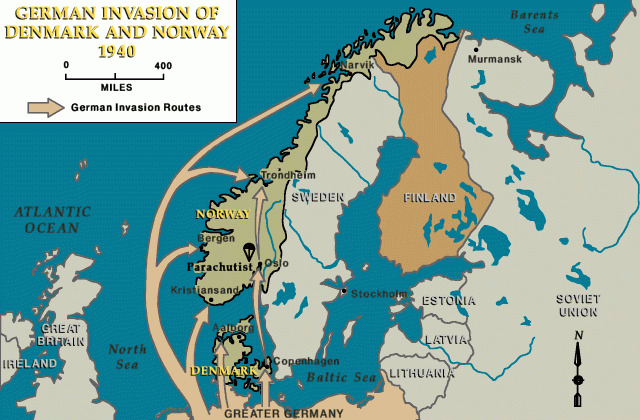 The Norwegian Resistance had facilitated the escape of about 900 Jews to Sweden where they survived the war as refugees. Hans Mamen was one of those resistance members. Hans grew up on a farm outside Oslo and was a student at the local Lutheran seminary. He learned of the persecution of Norway’s Jews and felt called as a Christian to help protect them. His mission began when a seminary professor asked him to help find a hiding place for a Jewish family who had requested the professor’s help. Hans established a network of seminary students, other friends, and contacts to assist. Some hid Jews, some shared food and supplies, and a few of them led Jews safely across the border into Sweden. Hans led many rescue efforts, usually taking only three people at a time to reduce the risk of capture. He led his charges through areas of dense forests with few roads and a sparse population. They crossed these difficult areas on foot, often at night. Hans arranged for a Swedish lumberjack who lived just across the border to keep a lantern lit at night so they would know when they had arrived in Sweden. Three Norwegian commandos at the Swedish border during World War II. On another journey, Hans accompanied a mother and her three-year-old son across the country, and then they hiked to the border. He carried the child on his shoulders into the dense forest, and the sudden, complete darkness frightened the child. His cries echoed through across the landscape, and nothing Hans or the child’s mother tried would calm him. With dawn approaching and the threat of their footprints in the snow leading a Nazi patrol to them, Hans feared capture. Finally he whispered to the boy not to wake up the birds, and the child immediately quieted. Once across the border, they enjoyed the sunrise and the opportunity to speak aloud again. camp in Ronneby Sweden next to a non-Jewish friend. In December of 1942, the Norwegian police, working for the Nazis, arrived at the Mamen’s farm and demanded to see Hans. His mother explained that he was at the seminary in Oslo. After the police left, she telephoned the seminary, and her coded message was passed to Hans during class—“‘Pack your suitcase’” (Gragg). Hans rushed to the home of a trusted friend and sent a message to his fiancée, Ruth. Although her parents were afraid and didn’t want her to leave, Ruth packed a small bag to escape with Hans. Hans and Ruth traveled by train from Oslo but disembarked before reaching the border. Hans had arranged for one of his contacts to meet them, and they rode under a tarp in the back of an old truck. 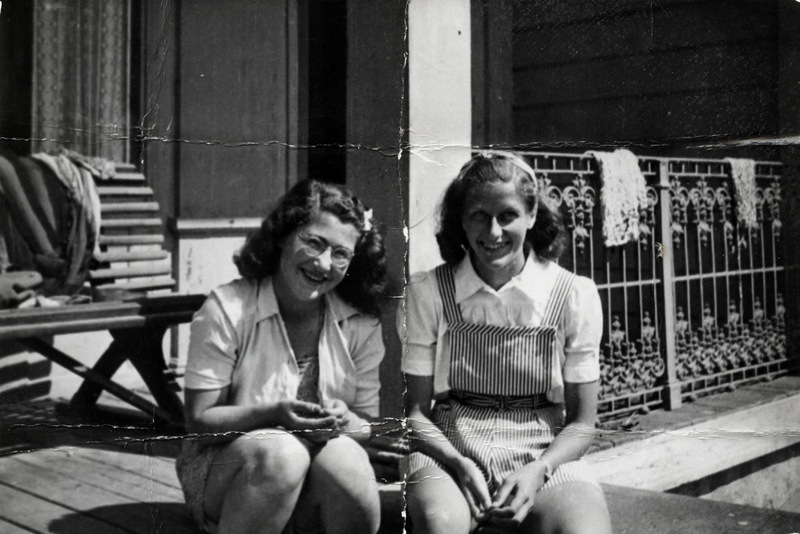 They stopped at a safe house; however, Nazi agents were searching the neighborhood. Hans and Ruth climbed back into the truck, and the licensed woodcutter drove them to a border checkpoint where he knew the lone Norwegian guard was loathe to leave his hut at night. Although the woodcutter turned resistance fighter was willing to use his gun if necessary, the truck rolled across the border without incident. Their benefactor didn’t stop until they were far from the border, but when he did, Hans and Ruth climbed out of the truck, fell on their knees, and thanked God for bringing them safely through. Hans and Ruth married in Sweden and had the first of five children. 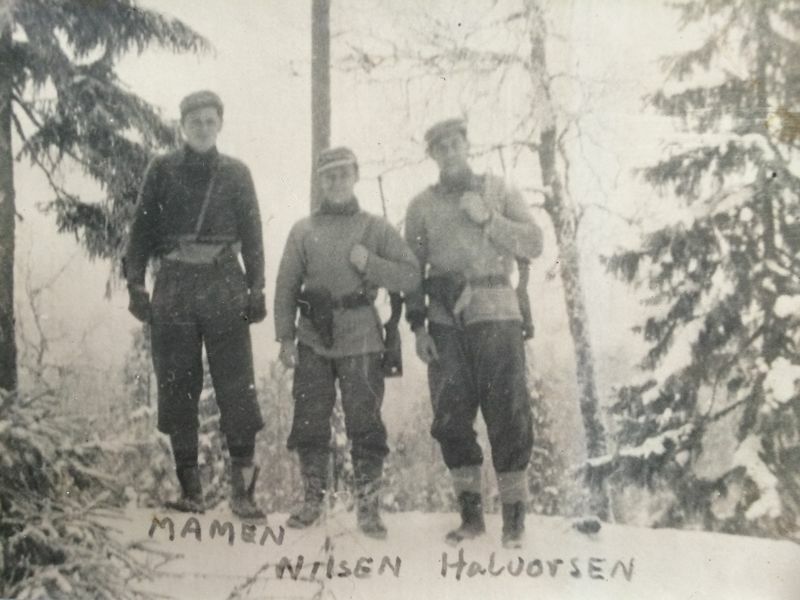 Before the war ended, Hans finished his seminary studies and assisted the Norwegian resistance by helping Allied agents cross from Sweden into Norway to conduct operations. After Norway was liberated, Hans and Ruth returned home, and Hans served as a Lutheran pastor for many decades. More than sixty years later, he was asked to speak at the new Holocaust Center in Oslo. A tall, bearded Norwegian "greeted him with unusual affection for a stranger." The man identified himself as "the Jewish toddler who decades earlier had quieted down in the dark, snow-covered forest so he would not awaken the birds" (Gragg). 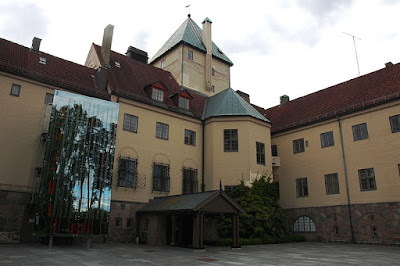 Religious Minorities and former home of Vidkun Quisling. Gragg, Rod. My Brother's Keeper. Center Street, 2016. "Norway." Shoah Resource Center, www.yadvahem.org. 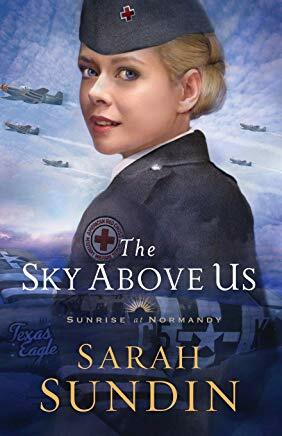 Giveaway: Leave a comment below and earn a chance to win Sarah Sundin's latest World War II novel, The Sky Above Us. You can earn another chance to win by sharing this post on social media. The contest will end on Wednesday, 4/3, at 8:00 PM EST. Don't forget to leave your e-mail address and let me know if you've shared on social media. What a story, and how beautiful that the toddler got to meet his benefactor!!! Thanks for the post. Hi, Connie! Thanks for dropping by. After I read this story, I had to share it! You'll be entered in the contest for Sarah's book. Thank you, Chris. We love researching history on our blog! Thank you for sharing on Twitter and Facebook. You've earned two entries in the drawing. Hi, Kim! Thank you for reading my blog today. I'm glad you were blessed by learning more of your own family history. You've earned a spot in the giveaway for "The Sky Above Us". Hi, Lori! I too was thrilled when I discovered that the toddler was united with his rescuer many years later. So glad you love Sarah's books. You'll be entered in the drawing. Hi, Bonnie. Thank you for stopping by our blog and for leaving a comment. You've earned two entries in the giveaway. Wow! Thanks for sharing this fascinating story, Cindy! You had me captivated right to the end. What a great conclusion!! Thank you for the chance to win a copy of The Sky Above Us! Hi, Allison! I'm so glad you enjoyed the story. I was thrilled when I discovered it. You've earned two entries in the drawing. Would love to read this next book in the series. Thank you for dropping by, Joni! Sarah's second book is just as good as the first in her new series. You'll be entered in the drawing. Thank you for sharing your most interesting post. Hi, Melanie. Thank you for being such a faithful reader of our blog! You'll be entered in the giveaway. Fascinating! I'm Lutheran, so this really caught my attention. :) Have you ever read "Mission at Nuremberg: An American Army Chaplain and the Trial of the Nazis"? It's a great read, and given this topic I think you'd find it really interesting. Hi, Michelle. No, I haven't read "Mission at Nuremberg," but I'm going to add it to my list. Thanks for telling me about it - sounds like something I would enjoy reading. You've earned a chance to win the contest for The Sky Above Us. 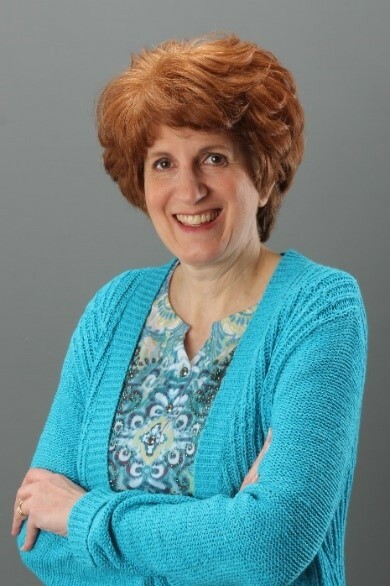 Hi, Gail! I'm guessing your father had some interesting stories to tell. Thank you for leaving a comment, and you'll be entered in the giveaway tonight. Totally a WWII buff and would love to read. Wish my dad was here to share this with him. He was a Medic in WWII. So glad to find another WWII buff, Pam. :) So many fascinating stories! You've earned an entry in the drawing tonight. Hi, Deb! Thanks for dropping by and leaving a comment. You'll be entered in the giveaway. Cindy, Thank you for this fascinating post! I shared on both Facebook and Pinterest. Thank you, Caryl! You've earned two entries in the giveaway tonight! I love learning about history and the things people went through. So much sadness, but so many stories like Hans' that make you think of the great people out there who risked so much for others. He sounds like he was an amazing man! Thanks for the fun giveaway as well. Hi, Laura! I love discovering the heroic stories from history. WWII especially. Thank you for reading and leaving a comment, and you'll be entered in the drawing tonight. Hi, Virginia! I love Sarah's series as well and can't wait for the third book. :) Thank you for dropping by, and you've earned a spot in the giveaway for tonight. Wow, what an incredible story of love & laying your life down for others! Im so glad he got to meet the boy as an adult. My maternal grandparents are from Sweden and this is now made me curious if any of my family members contributed to helping the Jews. Thank you for sharing Hans & Ruth's story! I have shared it on Facebook. How interesting, Deanna! My grandmother immigrated from the Ottoman Empire shortly before WWI. She was Armenian and Greek, and I have so many questions I wish I'd known to ask her. Thank you for sharing - you've earned two entries in the giveaway. Thank you for your kind words! I will keep my blog post readers up-to-date on future book releases. I post on the first day of every month on this site (hhhistory.com). I love Sarah's books too! Thank you for commenting and for sharing on Facebook. You've earned two entries in the giveaway. Thank you for your kind words, Lynne, and thank you for dropping by. You'll be entered in the contest! This sounds like such an interesting book, and the research you present is incredible. I thank you for the chance to win the book. Hi, Leeza! Thank you for your comments, and I'm glad you enjoyed the post. You've earned an entry in the Giveaway. And the winner is . . . Bonnie K.! I'll be e-mailing you shortly, Bonnie. Thank you to all who entered the Giveaway!